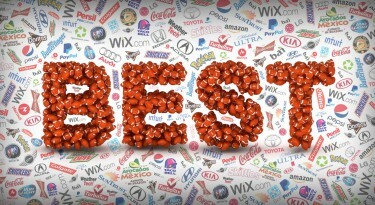 The 8 Best 2018 Super Bowl Commercials 0 out of 5 based on 0 ratings. 0 user reviews. Undoubtedly, Super Bowl LII was one of the most exciting games of football we’ve been lucky enough to see. Which is a good thing, because – on the whole – the ad game off the field was slightly underwhelming this year. There weren’t too many ads that made us laugh, cry or really think. Nothing pushed the bar. Noone went political. 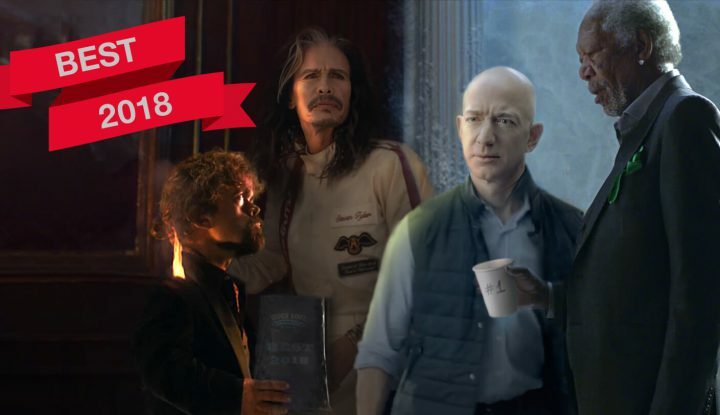 Here are the 8 Best Super Bowl Commercials of 2018! This one was more about playing the ad game, then the actual ad itself. After last year’s action-packed Wix Super Bowl ad starring Jason Statham and Gal Gadot, Wix made several very public announcements that it would opt out of Super Bowl 2018. And then, 48 hours before the Big Game, they stated that they would indeed return for the fourth consecutive year. And while doing so, they even gave away a car on Facebook Live! The 2018 Wix Super Bowl commercial featured one of the biggest, most “mythical” YouTube duos – Rhett and Link. It was smart, funny and showed their product well. Plus – they pulled it off in just one weekend. Props! Everyone loves a good throwback and Pepsi did just that. In this year’s Super Bowl spot, Pepsi paid homage to the King of Pop, went back to the future with a drag race between Jeff Gordon and the Delorean and featured everyone’s fan favorite when it comes to Pepsi icons, Cindy Crawford. Jimmy Fallon narrated this pop culture tour through memorable moments of the past, current and future generations. Who doesn’t reminisce about the glory days of their youth? Kia went full-throttle with their Super Bowl advert featuring a grizzled Steven Tyler in their newest whip – the 2018 Kia Stinger. Tyler steps out onto a desert racetrack, gets behind the wheel of the Stinger and revs this 365 horsepower beast. But just as we think he’s about to take off down the track, he shifts to reverse and races down the track in reverse – defying time itself. In short, Kia’s got the vehicle to revisit your youth and make you “feel something again”. Are there any GOT fans out there that don’t love the Dinklage? No! This year, we got to see our favorite Lannister getting his Doritos Blaze-on and rapping in the flames. And, that’s not all. Doritos and Mountain Dew took that GOT reference all the way. Fire and ice. Cue, Morgan Freeman opening a bottle of Mountain Dew Ice and singing us some Missy Elliot. It was an epic, unbeatable pairing made to satisfy any snack craving. This Super Bowl, Budweiser hit us with an emotional Super Bowl advert. In the spot, choicely titled, “Stand by You,” the GM of the Catersville Brewery in Georgia wakes in the middle of the night to an emergency call from the plant. Production of their signature product grinds to a halt as 100s of employees switch gears – filling beer cans with water and shipping out the supply by morning for countless Americans impacted by the hurricanes of 2017. Yes, a rookie advertiser made the cut this year with an epic, comedic trailer for the faux movie “Dundee: The Son of Legend Returns Home.” Tourism Australia tapped all of Hollywood’s favorite Aussie A-listers for this flick – from Hugh Jackman and Russell Crowe, to the Hemsworth brothers, Margot Robbie, Isla Fisher and, of course, the not-to-be-missed Danny McBride as our title character. We follow McBride on his adventures through beautiful landscape shots of the outback. Damn you Australia – we actually wish this flick were coming out this summer! Chef Gordon Ramsey, Cardi B, Rebel Wilson and Sir Anthony Hopkins – oh my! This star-studded cast (Jeff Bezos included), drew its humor from the premise: What would happen if Alexa lost her voice? Good thing Amazon has a Plan B: Said all-star cast. Help with cooking at home? Enter Chef Ramsey. Need some mood music for a party? Rebel Wilson is on it. Want to call your man? Sir Anthony will be your loyal assistant. There’s no contest here. It’s simply a fact. This creative, hilarious and unforgettable NFL commercial featured Odell Beckham Jr and Eli Manning reenacting the epic scene from Dirty Dancing. It was downright awesome – really one of the best super bowl commercials. Ever. For the record, Super Bowl LIII is less than 365 days away! (It’s scheduled for February 3, 2019.) And we are already impatient to see the commercials! 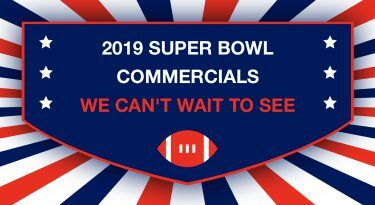 Here is a list of the 2019 Super Bowl commercials we can’t wait to see! Surprise! Wix Will Indeed Air A 2018 Super Bowl Commercial!